Each year I try to add a few handmade Christmas decorations to our holiday decor. 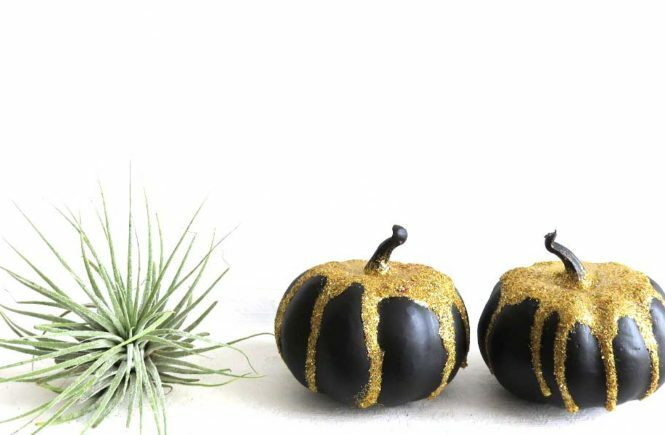 There is something so special about making your own decorations to be used year after year. 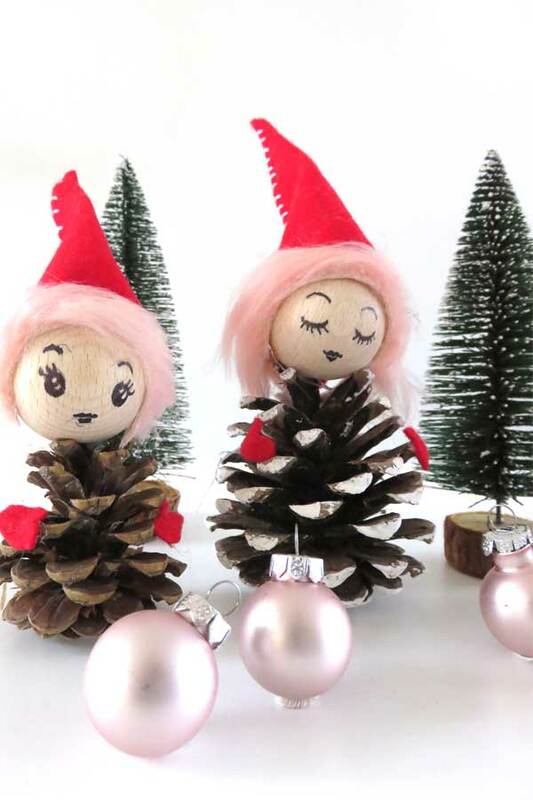 These cute Christmas pine cone elves are easy to make with just a few materials needed. Pour yourself a hot cup of tea, put on some holiday music, and let’s get started. Step 1. Start with the pine cone. You can leave it as is, and move on to step 2, or paint the tips of the pine cone white for a snowy effect. Step 2. 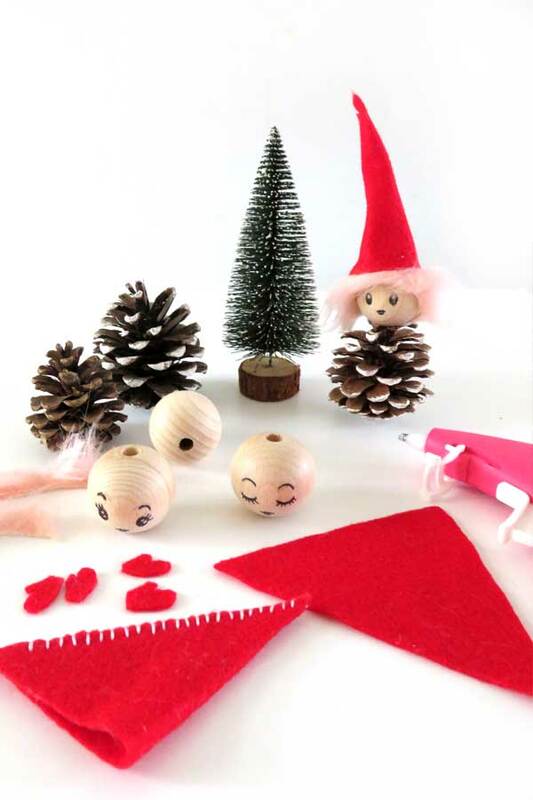 Next, cut a red felt triangle for the hat. The bottom part should be wide enough to go around the wooden bead and have a little overlap. Fold in half and close with a blanket stitch in contrasting white thread. Step 3. Cut two little red felt mittens. Step 4. Draw a face on the wood bead. 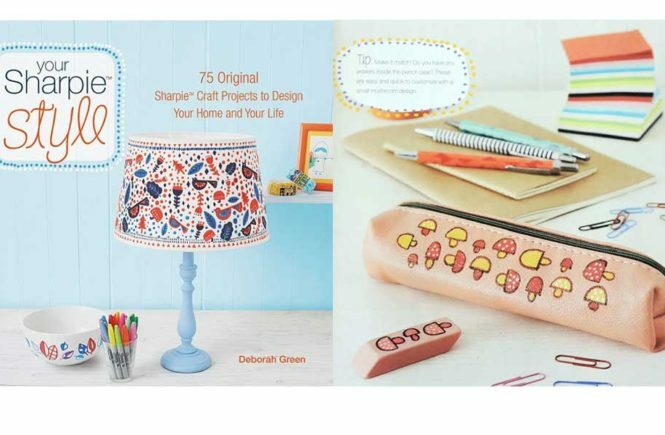 You can sketch it out in pencil first, or if you are daring enough, go straight in with an ultra fine Sharpie. Step 5. Cut a strip of pink faux fur, about 0.5 inch wide. Make it long enough to go over the bead. Step 6. Now on to the fun part of putting it all together. Start by carefully hot gluing the faux fur on to the wood bead right above the drawn face. Next, glue on the hat on the edge of the fur and onto the back of the bead. 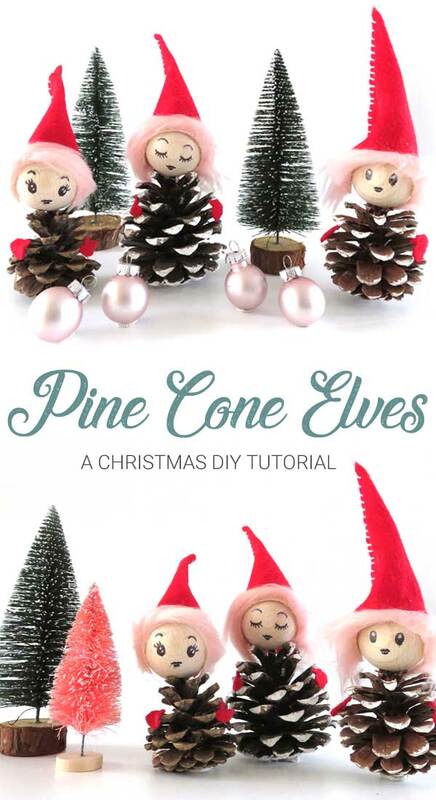 Take your elf’s head and hot glue it on the top of the pine cone. Finish by gluing the mittens to the side of the pine cone. Step 7. 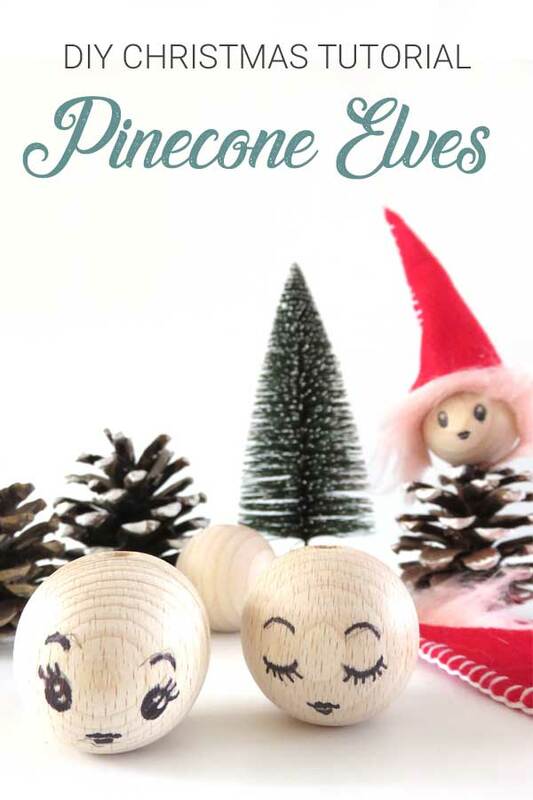 If you are lucky to have a pine cone with a flat bottom, no worries. But most pine cones are not completely flat. You want your elf to stand up, not to fall down. Nobody wants to see fallen elves. 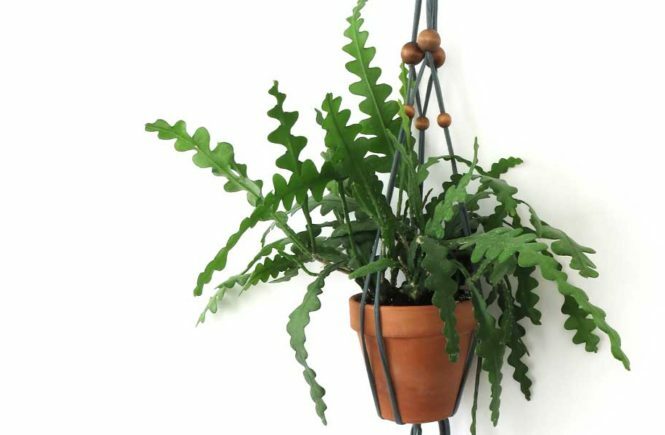 A little bit of sticky tack on the bottom will do wonders. All done! 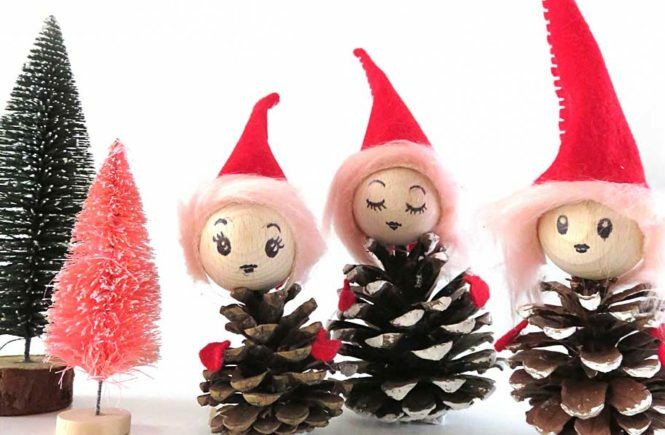 Make one adorable pine cone elf, or make a bunch of them and have a Christmas elf holiday party! And if you want to go all out, make a few pasta Christmas trees to complete the stage. Switch up their look by changing the color of the fur and the expressions on their faces. 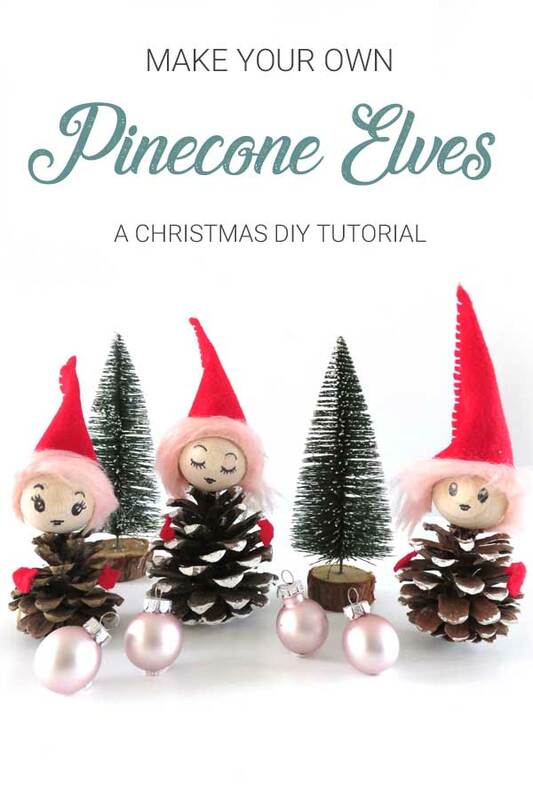 Make smaller or bigger elves by using different size pine cones and beads. Have fun with it, and enjoy the spirit of the holiday season. 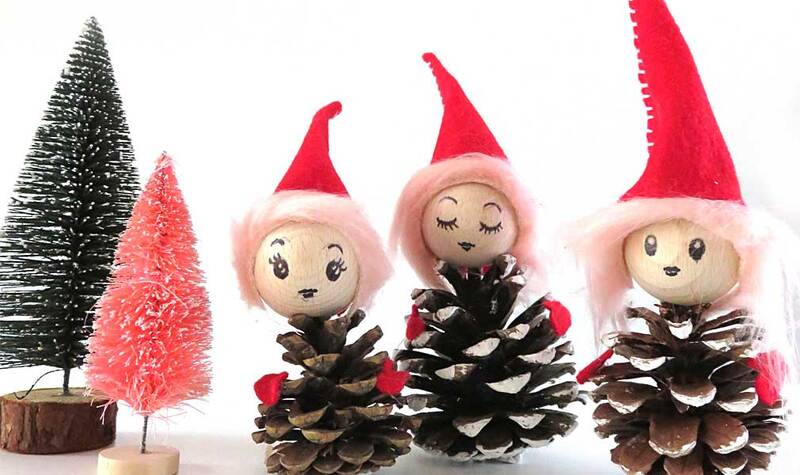 Tag me @modandmint when you make these elves, i would love to see!